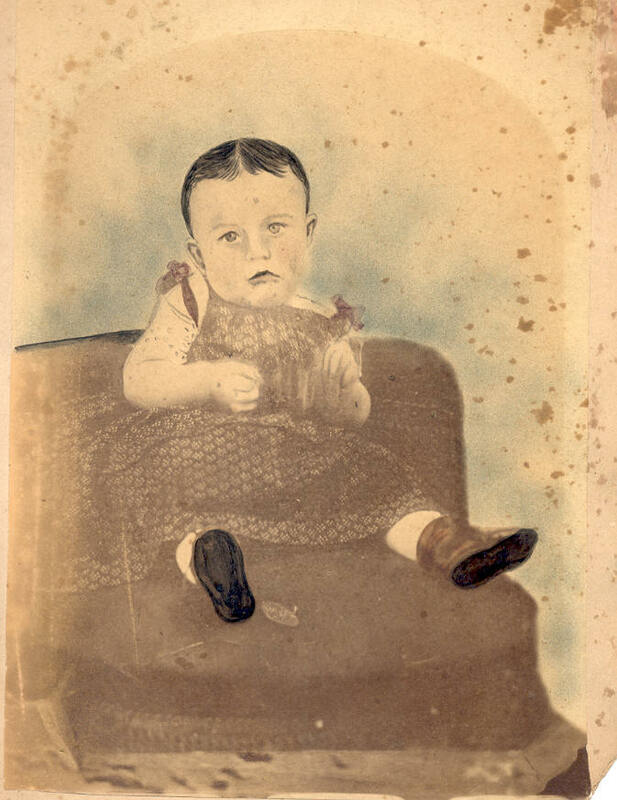 Comments: Lillie Mae Benward (Nee: ) | Fort Wayne IN USA | 1851-1900 | Comments: Lillie Mae Benward (1866-1950), child of Joseph S. Benward and Mary Ann Bennett. Lillie married Andrew M. Beeching, 1889 in Huntington, Indiana. This image courtesy of the family of Lucille Beeching. This image was taken about 1868, probably taken in Allen Co., Indiana, but may have been in Huntington, Indiana.